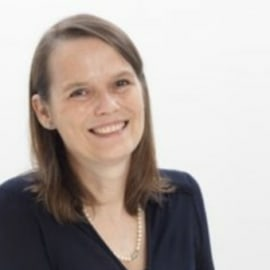 Katrin Geyskens is a partner at Capricorn Venture Partners (www.capricorn.be) where she is driving the Capricorn ICT Fund focusing on venture investments mainly in the areas of Digital Healthcare and Big Data. Investments include NGDATA, Noona Healthcare, LindaCare, icometrix, Bluebee Technologies, Indigo Diabetes and FEops. Cartagenia was successfully exited by a trade sale to Agilent Technologies. Katrin is an active board member of the Belgian Venture Capital & Private Equity Association (BVA) board, serving as Chairman 2014-2015. Before her +15 years in venture capital, Katrin acquired extensive experience in banking and management consulting at CERA Bank (now KBC), Merrill Lynch (now BofA) and A.T.Kearney. She holds a Master of Business Economics: Business Engineering degree from KU Leuven and an MBA of the University of Chicago, Booth School of Business. Capricorn Venture Partners is an independent European manager of venture capital and equity funds, investing in innovative European companies with technology as competitive advantage. It is based in Leuven, Belgium and licensed by the FSMA (the Financial Services and Markets Authority in Belgium). At present, Capricorn Venture Partners is investing out of the venture capital funds Capricorn ICT Fund, Capricorn Sustainable Chemistry Fund, Capricorn Health-tech Fund and Capricorn Cleantech Fund. In addition it is the asset manager of Quest for Growth, quoted on NYSE Euronext Brussels, and the investment manager of Quest Cleantech Fund.